#Iran: has the senior Norwegian Diplomat lost his contact lenses? Wegger Christian Strømmen, the political director of the Norwegian Ministry of Foreign Affairs is in Iran on an official visit. Below is a photo of him greeting Iran’s foreign Minister Javad Zarif. I wonder if he suddenly realized that he has lost his contact lenses and is looking for them. 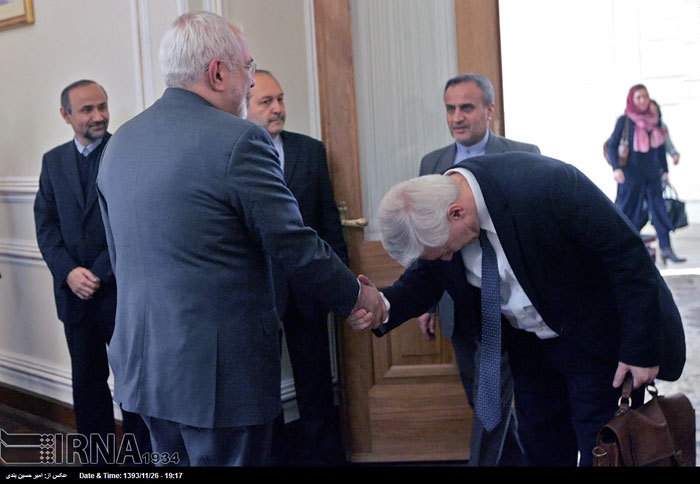 Either that or the Norwegian ambassador to Iran forgot to tell him that bowing like this in Iran is more associated with the pre 1979 revolution era.